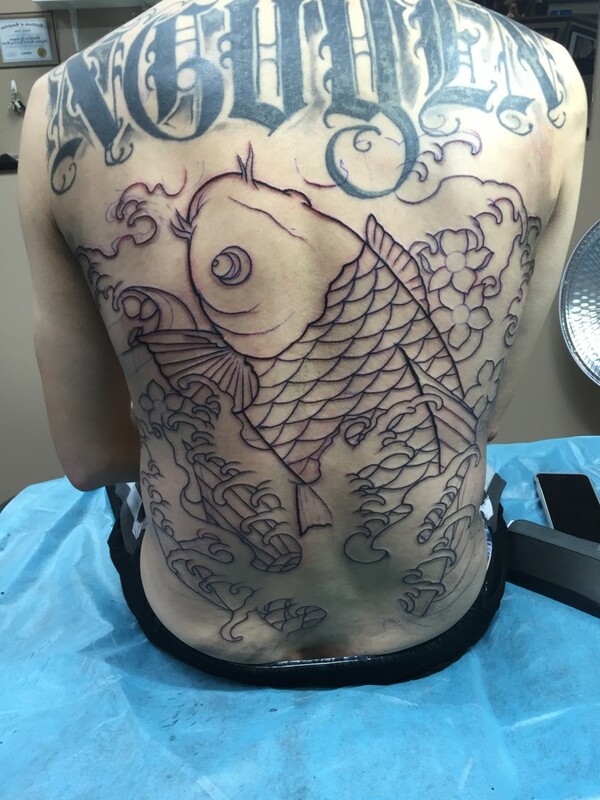 Eddie Tana had the honor of doing another koi fish back tattoo we just did the outline for now but when is done it will be in color along with a japanese style black and gray background in the beginning of this tattoo was a bit rough the shock a getting a tattoo and adrenaline running through my clients body is nothing new but this tattoo was different, How? he is going to have a full back piece tattoo most likely running down the legs and maybe just maybe a full body tattoo. 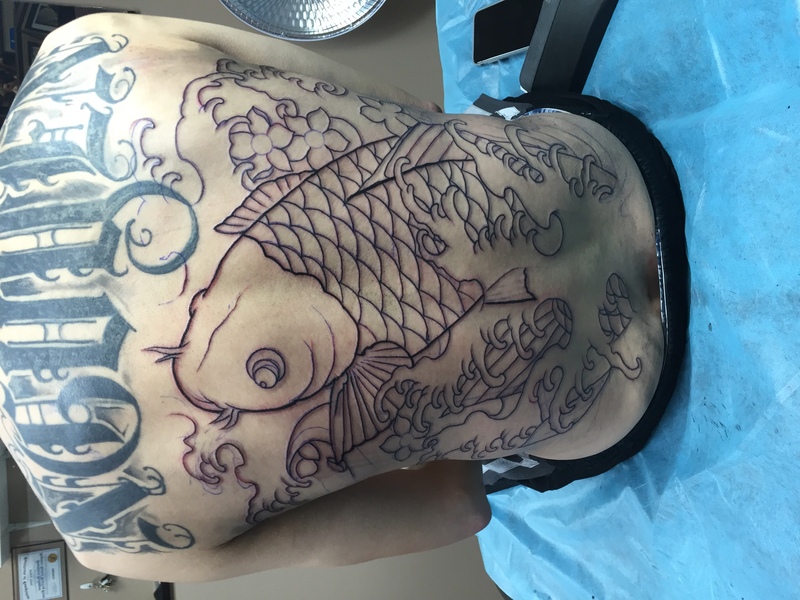 I used for this out line was 5liner, 7 liner, and a 18 round liner again we just did the basic outline we still need to go in and do some more details for this tattoo but at least we got a basics.